It was an incredible polar challenge. One man (an amateur) facing incredible odds: Ferocious blizzards, deadly crevices, frightening isolation and brutal terrain. 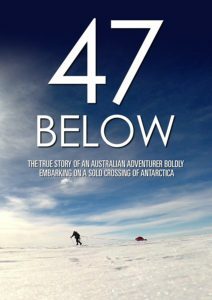 Plagued by accident and injury, 47 BELOW is a story of determination, perseverance and finally… celebration! 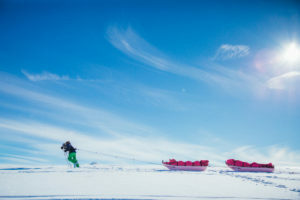 Following in the footsteps of history’s greatest polar explorers, such as Robert Scott, Douglas Mawson and Roald Amundsen – and inspired by a friend’s fight with breast cancer – Australian doctor Geoff Wilson set himself the incredible goal of dragging his pink “boobsled” across 3,400 kilometers of the most brutal terrain on earth. 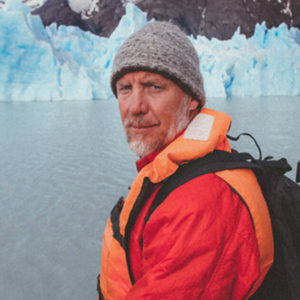 His goal was to complete a coast-to-coast crossing of Antarctica. Unlike the great explorers of the past, Geoff went into the expedition with virtually no polar experience. To survive, he had to battle ferocious blizzards with winds exceeding one hundred kilometers per hour, frostbite, deadly crevasses, loss of food and key equipment, and Antarctica’s terrifying isolation. rookie adventurer. They were wrong. What unfolded was a gripping and inspiring story of polar survival and the incredible power of the human spirit. The trailer alone will awaken your spirit. Born in Kenya in 1970, Geoff spent the first 5 years of his life in Uganda. His first adventure was escaping the dictator, Idi Amin, with his family in a Cessna 175 Skylark. His father flew the tiny plane for 42 days landing in Townsville, Australia. After completing his schooling in Brisbane, Geoff set off on his first solo adventure. He had set his sights on a bicycle ride from London, England to Nairobi, Kenya. The journey morphed into an odyssey with friends and after 3 solid months of living on $1 a day, the men arrived at the Sudanese border only to find it blocked by civil war. Whilst trekking up Mt Kenya in 1988, Geoff and his climbing partner had another near death experience. In the wee hours of the morning Geoff awoke with a severe headache to find their tent frozen over. Unable to light a match or rouse his climbing partner, Geoff realised they were in advanced stages of carbon monoxide poisoning. Geoff’s life changed forever on Boxing Day 2004. Within days of the Aceh earthquake and tsunami, he was working on the ground as a translator as part of the relief team. The death and destruction was a huge wake-up call for Geoff. He realised now was the time for him to shift his attention to the things that were truly important to him – family, adventure and philanthropy. Geoff is in training for his next charitable expedition – the longest unsupported human crossing of Antarctica. This time he’ll kite top to bottom, across the uncharted ‘Pole of Inaccessibility’. This 5,200 km route across the world’s harshest environment has never been attempted before and if Geoff is successful, he’ll smash his current world record.